Posts tagged "8th grae teacher"
A Teacher’s thoughts….for what it’s worth. My children have been blessed to attend schools here in a town where they have had many, many wonderful teachers. I have friends who are teachers. I know they are overworked and underpaid. I know they have to spend a lot of their own personal finances on things for their students and classrooms. 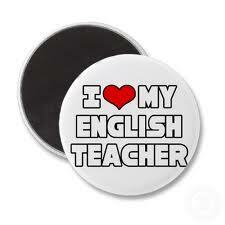 I know that in order to teach they have to love it, because the financial rewards are not great. My son The Genius usually enjoys his teachers but this past year in 8th grade he especially loved his English teacher. He loved the way she taught, and he always felt valued in her class. The other day on Facebook I ran across a post she had written and I feel compelled to share it with as many people as I can. My reach is more broad here on the blog than on my Facebook page, so I asked her permission to repost her words here and she agreed. This post is written by 8th grade Teacher Karen Pierce, who my son told me is his “favorite teacher of all time.” As a matter of fact when I read it, I thought, let me see if he can guess which of his teachers wrote this. So I read it to him, and when I read the part about teaching on her feet, he said, “Oh, that is Mrs. Pierce. She never sits down when she is teaching.” Mrs Pierce you have made a difference in my son’s life and are an exceptional role model. Thank you for allowing me to share your words with the world!! 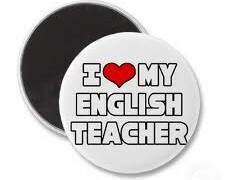 I teach because I love it. Paying me more will not make me a better teacher. Paying me more will enable me to support my family without working 2 other jobs. Contrary to popular opinion, having summers off is not the same thing as a paid vacation. We are paid for working 10 months. If you know a teacher who gets paid in the summer, it is because he/she had pay withheld until summer. Politicians (national, state, local) make huge decisions regarding education…..usually without asking for teacher input. If they ask for it, they do it solely for show and have already made up their minds. I spend about $1,000 a year on my classroom. I would do so no matter how little I’m paid….it’s necessary. I am making 10% less than I was 7 years ago when factoring in the increase in medical insurance premiums, the state’s reduction in retirement that I must now pay, no raise, and the rise in the cost of living. I go to work early to be prepared for the day. I teach on my feet, not from behind a desk. I try to make learning fun, not only so my students will retain the content, but because we both have to be there…why not enoy it? Over 20 of my past students are dead or in jail. We DO have a national problem….educating students in poor, crime ridden areas is not the same as in affluent ones. You simply cannot compare apples to oranges and tie money into student performance. When asked what I do for a living, I say “teach” but really on a daily basis I hug your child when he or she is having a bad day, give bandaids, counsel when guidance sends the child back after 2 minutes, protect from bullies (bullying today is NOT the creep stealing lunch money!) , feed hungry children, provide basic school supplies such as paper and pencil, build self-esteem, etc, etc. I have over 500 books in my classroom library for my students to borrow. I also let other students borrow them when they ask. Approximately 20-30 disappear from my shelves each year. I have replaced some novels more than 5 times. Instead of getting upset about it, I believe I’ve given a pretty nice gift to someone’s child. A friend asked me when helping me in my classroom last week if I paid for all of those books. Of course I did….unlike when I started teaching in 1988, teachers today have to buy their own paper clips, staples, cleaning supplies (would it shock you to know my classroom floors are mopped twice a year and desktops are only cleaned when I do it or provide students with the supplies to do it?) etc. I teach in a city that has a beautiful school with wonderful technology. Weird how all of our city wide meetings are held there rather than the other 3 that are decrepit, mold ridden, and have 1 dinosaur smartboard that is bigger than my dry erase board and wheeled from room to room when not broken. Should I mention that our dry erase boards are actually construction white boards from Lowe’s or Home Depot purchased and mounted by us…..a far cry from the gorgeous white boards in our “model showroom sister school” across town. Finally, the best gifts I’ve ever received from students are when they tell me what a difference I’ve made in their lives because each of them has made a difference in mine. I want my thoughts to be food for thought rather than just a teacher’s venting. I wonder if this will go viral like those cute videos of small girls dressed like teenagers singing a Nicki Minaj song? Probably not, but feel free to share.